Posted on 20th October 2017 Author CoinSpectatorCategories ContributionsLeave a comment on Crypterium to hold an ICO for a revolutionary mobile cryptobank project, during which it expects to collect USD 75 million. On October 31, 2017, the Estonian company Crypterium will hold an ICO (Initial Coin Offering). Crypterium is a mobile cryptobank that allows instant payments, the exchange of fiat and cryptocurrencies, cashback from transactions, the issue of crypto loans and much more. The goal of the project is to create an integrated banking service that brings together all the best capabilities and possibilities of blockchain technology. Soon we will see the launch of crypto-fiat payment infrastructure that supports settlements at 42 million points of sale throughout the world, in all areas of consumer services: cafes, filling stations, paid parking, Internet stores, etc. Using the cryptobank will be just as easy as using an ordinary debit card. After creating an account, users will be able to transfer digital cash to their accounts, which will be shown as a fiat balance in US dollars, rubles, euros, or any other currency that is convenient for the user. It will be the first transaction system ever not to impose restrictions such as daily limits, and will not force users to wait several weeks for a plastic card to be issued. “Crypto” transactions will be performed in retail networks using the Visa, MasterCard or UnionPay payment systems, or with the support of Apple Pay, Samsung Pay or Android Pay mobile services. The Crypterium token sale will start in two weeks. ICO participants will be offered the company’s own CRPT tokens, which will be based on the Ethereum platform. The starting price has been set at 0.0001 BTC per token. Based on the agreements reached, the CRPT token will be introduced to the largest cryptoexchanges on the completion of the ICO, but not earlier than 30 days after reaching the fund collection targets. The ICO will run until January 13, 2018. During this period, Crypterium’s founders expect to collect around USD 75 million. The resources gathered through the ICO will be used for the full-fledged launch of the cryptocurrency bank, which will commence its work in QI-II of next year. “Our token will perform two functions. The first will be similar to the ‘gas’ used in Ethereum. In our case it will be used to support and develop Crypterium. There will be a 0.5% charge on each transaction performed on our platform, which will be used to purchase tokens from the exchange that will be burned during the performance of operations. This will ensure stable demand and, accordingly, a growth in the value of token. The second function involves the formation of a token fund called the Monthly Cashback Fund, which will receive 30% of our economic benefit obtained from the fee paid by a business for the use of our platform,” comments Steven Polyak, Managing Director and Co-Founder of Crypterium. Registration of ICO participants will commence on October 24, 2017. Tokens can be purchased for either crypto- or fiat currency. Crypterium is a cryptobank founded in 2017 that plans to combine a mobile bank, cryptocurrency payment solutions for business, an OpenAPI cryptocurrency platform for developers, and the ability to receive decentralized crypto loans. The Cryptobank offers solutions in three areas: use of cryptocurrencies by individuals for everyday settlements, a revolutionary infrastructure for cryptocurrency acquisition by businesses (including with the transfer of fiat currencies to sellers), and simplified procedures for receiving crypto loans, all while retaining open access to its cryptobank platform for outside developers. Crypterium is an Estonian company headquartered in Tallinn. The Crypterium team has been working in fintech for more than five years, successfully creating contactless payment solutions. 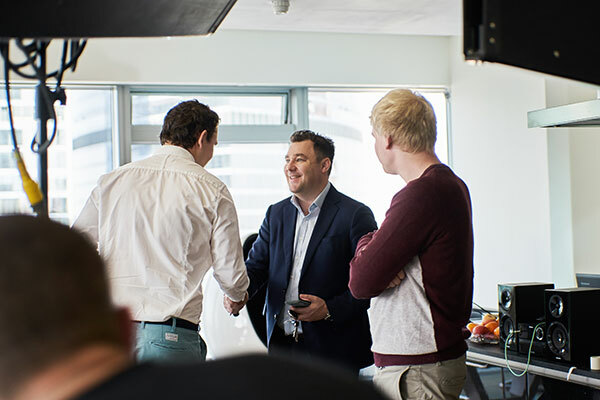 The team includes leading specialists from several industries at once: Steven Polyak, an investment banker with work experience on the US and Russian capital markets; Austin Kimm, financial services CEO and international strategist for multinational companies; Gleb Markov, fintech, banking & cryptocurrency professional; and Vladimir Gorbunov, an entrepreneur with more than 10 successful IT startups. In the volatile and tense crypto space, there is a new accountless exchange that takes a firm stance opposing Segwit2X. Flyp.me just launched with 14 cryptocurrencies, shares 50% of the profits and has the ambitious goal of becoming the leading accountless exchange. The team at Flyp.me came out recently with a fully working exchange that doesn’t require any registration whatsoever. Users only need their crypto address to make an exchange. No email required and no lengthy wait to see the deposit hit your account. With Flyp.me, the user only chooses the amount to exchange, which cryptocurrency to send to Flyp.me and which cryptocurrency to receive back. It’s fast and as simple as sending a transaction and receiving your exchanged crypto straight in your wallet. This team opposes Segwit2X and supports the key role of overall consensus. They aim to rebalance the power between users of an exchange and the exchange itself. Flyp.me focuses on the speed, privacy and ease of use of its exchange service. It also uses distributed policy-making to take the best path for the community and the future of the exchange. It is fully working and has a growing user base. New coins have already been added with PIVX – last week – becoming the 14th cryptocurrency accepted. 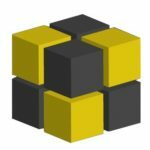 The Flyp.me team plans to implement new coins, integrate decentralized asset platforms and invest in R&D for 2nd layer solutions. To finance that, they are running an ICO now. They have raised a little more than 2,000 ETH and the ICO will finish in a few days. During the ICO, Flyp.me generates FYP Tokens which receive benefits such as 50% share of the profits generated by the exchange, the ability to propose new features or coin additions, vote for key decisions and audit volumes. After the ICO, no additional FYP Tokens will be created meaning the same amount of tokens will share 50% of the profits. Every three months, Flyp.me will distribute 50% of the profits to FYP Token owners in proportion to their ownership of tokens. Following the first two payouts, the timing of the payout will be voted by the FYP Token owners. Flyp.me is developed by the team at HolyTransaction, the multicurrency wallet launched in 2014 and still active today. They have also released an API that allows businesses and developers anywhere to accept multicurrency payments via Flyp.me. Interestingly, the API is permissionless so anyone can start using it right away. 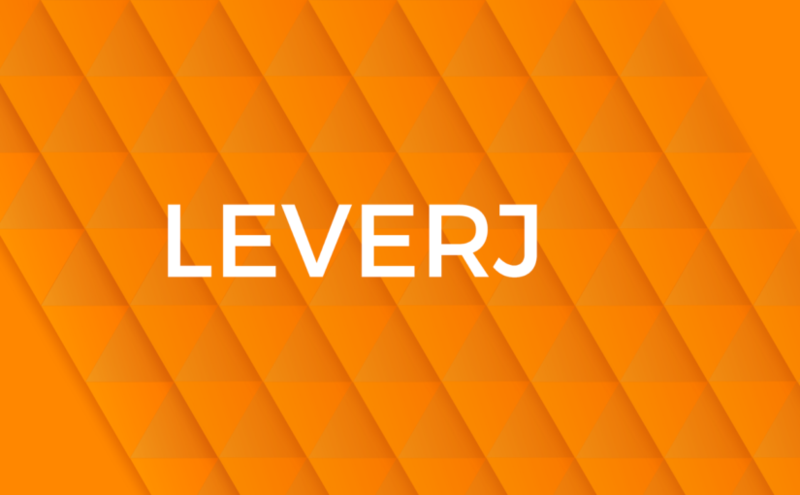 Leverj is a decentralized, leveraged cryptocurrency futures exchange. The Leverj token sale, which is supported by ConsenSys, begins on November 7, 2017 and the whitelist registration is currently open. … except for the user experience. Current DEX offerings cannot compete with the speed and responsiveness of centralized exchanges. If it takes 60 seconds to know if your order went through or 3 days to settle a trade on chain, users fatigue and give up. This traps crypto traders in centralized exchanges and mainstream traders in fiat exchanges. Leverj can offer the high speed of centralized exchanges by keeping the critical path of order-cancel-fill off the blockchain. Segregated wallets ensure only an account owner can deposit and withdraw funds. Fraud-proofs move the verification into the hands of the users keep the blockchain cost light and the smart contract simple. Fraud-proofs are necessary because any centralized component can be compromised and can be used to skim and favor a colluding user. A user’s cancelled order for example, may be held and matched at an adverse price. Repeated a few million times over many users, skimming can be a serious attack that is unnoticed for a while. On Leverj users can simply submit a fraud proof to the smart contract and prevent any loss of funds. Combining segregated wallets and fraud proofs combines the safety of decentralized exchanges with the responsiveness of centralized exchanges. Our token sale starts Nov 7th and is open to non-U.S., non-China persons. To avoid a last minute rush, you can sign up on our whitelist. Posted on 16th October 2017 Author CoinSpectatorCategories ContributionsLeave a comment on DARFchain (Waves-DEX: DARF) was the only one blockchain solution on ERP conference “ODOO Experience – 2017”. CRYPTO20’s goal is to bring peace-of-mind cryptocurrency investment to mainstream investors. It is an index fund that holds and autonomously rebalances a data science proven portfolio of the top 20 cryptocurrencies. Actively managed funds have consistently failed to beat the market index despite decades worth of data, billions of dollars and hundreds of analysts at their disposal. When they have, their fees dilute investor returns to less than if they had simply held the index. Due to rising crypto prices, the fund value per token exceeded the price of tokens being sold. Pre-sale investors were able to acquire $1.10 of underlying crypto assets for $0.95 per token. The CRYPTO20 pre-sale is now over, with over 2000 backers from 93 countries and $5 million in total funds raised. The main ICO starts on the 16th of October 2017 at 18:00 GMT and ends on the 30th of November at 00:00 GMT. As evidence of this fact, CRYPTO20 has released trading tools and insights that are generated live from the 8 exchanges connected to the system via API. The trading tools are available here and include information on slippage, the best price and trading pair to acquire assets with and the volume by exchange. Token-holders are able to liquidate the C20 token for their share of the underlying assets via the smart contract. By going directly to the end-user as a cryptocurrency itself, CRYPTO20 gives investors the ability to sell or exchange their tokens at will. The fund is fully AML/KYC compliant and operates as a registered LLC in the Cayman Islands, a popular fund jurisdiction. The CRYPTO20 fund mitigates risk and volatility and historically has provided better returns than the market cap leader, bitcoin, alone. Join the CRYPTO20 Slack channel and chat with the founding team directly. The insurance industry is days away from a technological and business milestone. 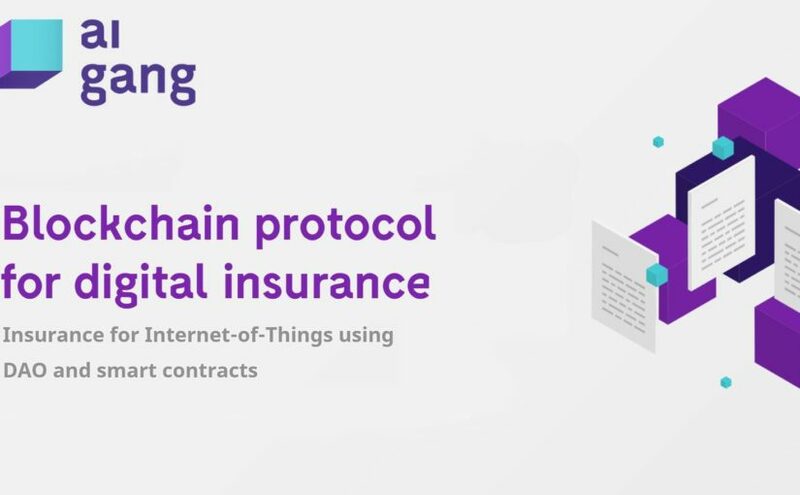 The Aigang Network’s token sale on November 15th brings together Internet of Things devices and Autonomous Insurance, promising self-paying insurance claims on a subset of the 55 billion IoT products forecastto be produced over the next eight years. Aigang has created Proof of Concept products on the Ethereum blockchain that detect faults or failure dates (initially in mobile phones) and pay insurance claims to the user without the requirement for any human oversight. In other words, we are creating an insurance DAO; a Distributed Autonomous Organisation. The Aigang insurance software, which includes all policy details, can be bundled with a device so that it is active when started-up or opted-in during configuration. The software detects imminent failure of components and triggers a payment automatically if insurance conditions are met. Candidates for this solution include phones, drones, fitness trackers, gaming consoles, home electronics, white goods, cameras and watches. Autonomous Insurance is not limited to completely automated use cases, since Aigang’s protocols provide for aspects of a product’s insurance policy to be passed off to conventional reinsurers. In other words, some claims for your self-driving car might require manual oversight, some may be automatically dealt with. This enlarges the universe of products that can access Aigang’s insurance. The Proof of Concept app, on the Ethereum Testnet platform, has more than 7000 downloads and around 2000 smart insurance contracts have been issued. Aigang has deployed smart contracts that issue policies, conduct risk assessment and process claims. It has also deployed smart contracts that perform insurance profit calculations, create reserves and tokenise the insurance risk pool. The protocol architecture is able to integrate other insurance products. There are a number of other innovative aspects to the Aigang Network, including the use of prediction markets to evaluate the viability of insurance products. Aigang are incentivising insurance industry experts and business analysts to participate in these prediction markets by rewarding successful predictions with status and tokens. Internet connectivity is becoming the default for new products. All these devices, vehicles, appliances and systems are potentially insurable. Automating insurance will drive down policy costs, increase the diversity of insurance products and disintermediate inefficient insurers. Aigang is positioned to be a leading player in this space. Advisors to the project include Bok Khoo (blockchain) and Niv Calderon (IoT). The team comprises longstanding insurance industry executives based in Europe and Asia, as well as developers with experience on all relevant technology platforms. Aigang has already raised 10% of its total target funding. 60% of funds raised in the token sale will be applied to protocol development, with 15% allocated to security, 15% to operations and marketing, and 10% to legal and consulting expenses. The token sale is individually capped during the first 24 hours and early-stage contributors can register here prior to Token Sale which is on November 15th, 13:00 UTC.